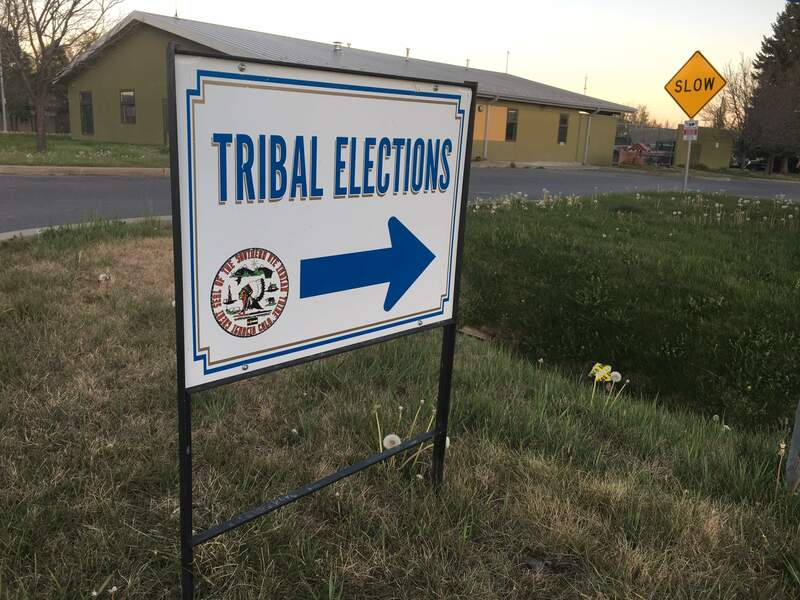 Southern Ute tribal members headed to the polls Thursday to cast ballots on whether millions of dollars from a lawsuit settlement should be distributed to members or kept by tribal government. IGNACIO – Southern Ute tribal members who fought for the distribution of millions of dollars from a lawsuit settlement appear to have achieved victory Thursday night, potentially ending a contentious battle between members and tribal leadership. At least 50 percent of the tribe’s 978 registered voters needed to vote in Thursday’s referendum, and as of 11:30 p.m., election officials had counted 646 ballots, well over the 489 needed to advance the measure, according to tribal members who helped lead the effort to bring the issue to a vote. Of those, 611 were in favor of distributing the funds, a 95 percent majority. Thirty-five ballots were against the measure, and an additional 38 ballots were deemed spoiled, according to members. A tribal election official refused to allow a Herald reporter to attend the ballot counting at the Sun Ute Community Center, where tribal members gathered for the tally. The affirmative vote allows tribal members, about 1,500 of them, to receive payments worth thousands of dollars rather than letting tribal government keep the money to spend as it sees fit. Members have already received payments of $45,000 – or 60 percent of the $125 million settlement (after lawyer fees and other costs), according to language in the tribe’s sample ballot. The remainder was to be used by the Tribal Council for a list of potential expenses, including repairs to an irrigation project. But dozens of tribal members signed petitions demanding the remaining balance. Tribal Council rejected those petitions, saying Tribal Council reserves the power to determine how tribal funds are spent, in accordance with the tribal constitution. But yielding to the demand of its members, Tribal Council agreed to sponsor a referendum allowing members to “approve” or “disapprove” distributing the remaining funds. The funds came from a lawsuit settlement between the tribe and the federal government, in which the tribe accused the federal government of mismanaging monetary assets and natural resources held in trust by the United States for the benefit of the tribe dating to the late 1800s. Dozens of other tribes filed similar lawsuits, known as the Sisseton lawsuits, which alleged improper record-keeping, incorrect interest rates and other historic claims related to mismanagement of American Indian resources. The federal government expects to pay about $1 billion to resolve the lawsuits. In fighting for the funds, tribal members accused their leadership of acting in secret, ignoring the will of its people, violating its own constitution, intimidating members who speak out against the tribe and wasting millions of dollars on bloated programs and services. Several petitions are being circulated among tribal members seeking to recall members of the Tribal Council.